Did you abstain from chocolate for Lent and now need your fix? Looking to buy a treat for a loved one with a food allergy? 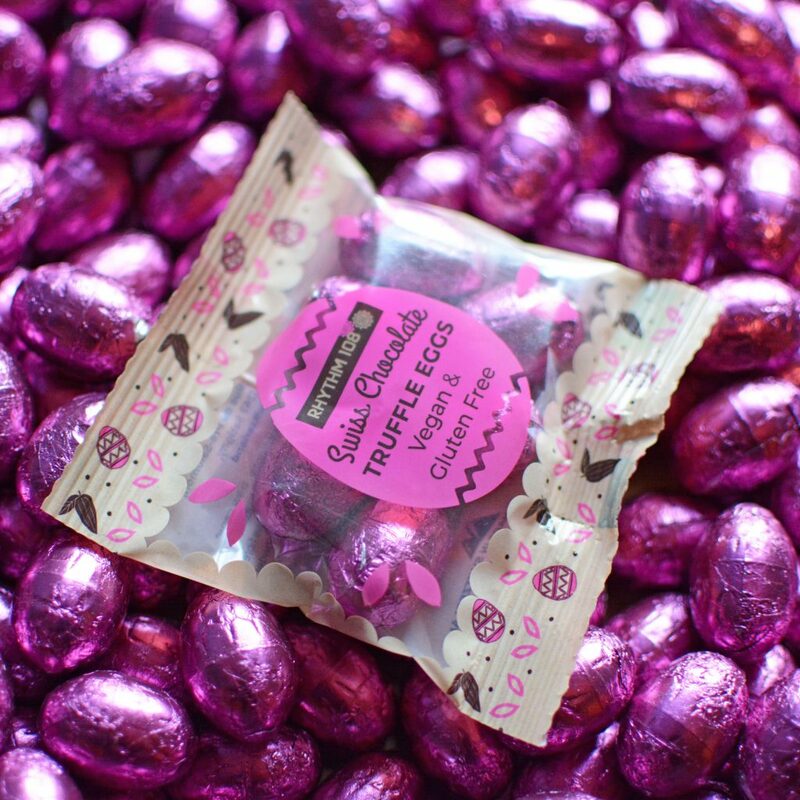 Or are you just a chocoholic revelling in all this Easter sweetness? 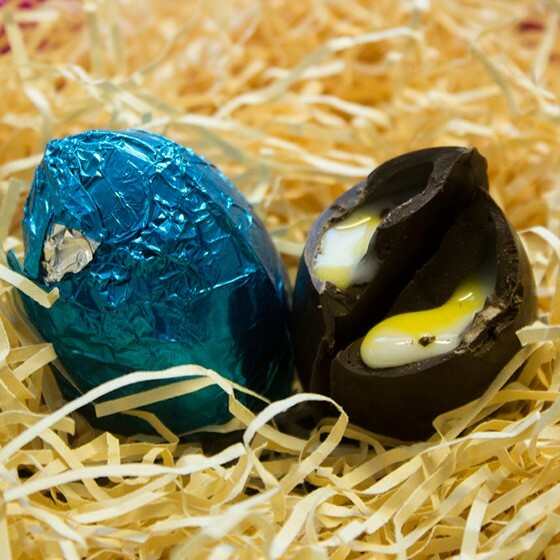 We bring you our favourite Easter egg options for those who avoid gluten and/or dairy. This Green & Black’s milk chocolate egg is thick-shelled and dotted with delicious pieces of butterscotch. With notes of treacle, silky smooth chocolate and the moreish crunch of the toffee pieces this is one indulgent Easter treat. Keep this one hidden on the top shelf or it’ll be gobbled up! 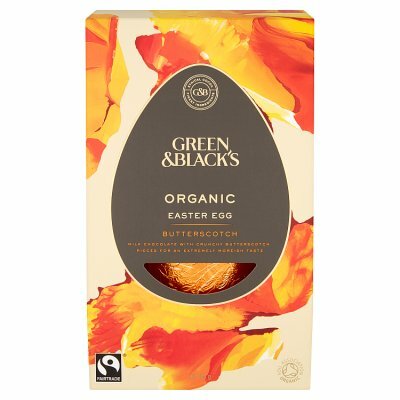 Green & Black’s Organic Milk Chocolate Butterscotch Easter Egg is available to purchase from Waitrose, Sainsbury’s, Ocado or the official Green & Black’s website. RRP £6.59. Since Wispas returned to UK supermarket shelves due to popular demand in 2008 they’ve become a national favourite. It’s no surprise that Cadbury have created an Easter egg based around the classic chocolate bar, but it may come as more of a shock that it’s gluten free. 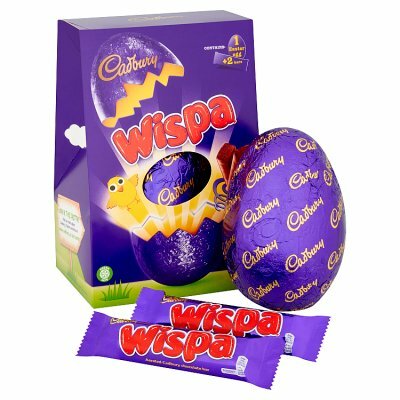 The hollow milk chocolate egg comes complete with two Wispa bars and is deliciously creamy. Cadbury Wispa Large Chocolate Easter Egg is available from Waitrose for £4. This hand-decorated egg from ASDA speaks for itself, really – it’s simply gorgeous. 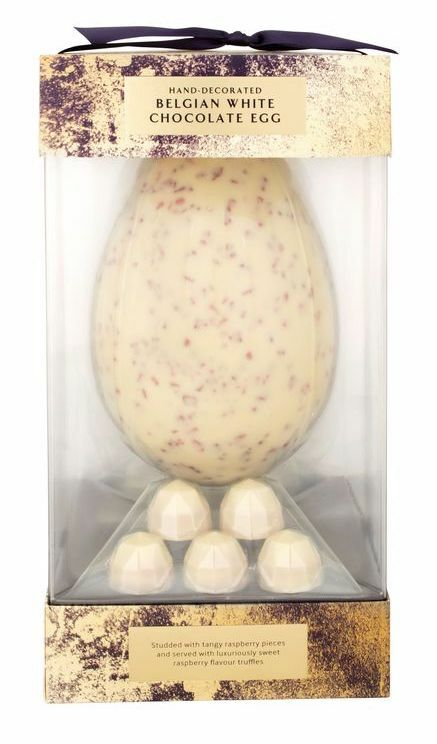 Made from Belgian white chocolate, the egg is accompanied by little raspberry-flavour truffles that almost look too good to eat (we’ll give it our best shot, though!). ASDA’s Belgian White Chocolate Egg is available from their website for £5. Milk Chocolate & Salted Caramel and Dark Chocolate versions are also available. Whether a treat for children who avoid gluten or a nostalgia trip for older GF chocolate fans, the Kinder Bunny brings a little bit of Easter joy to the table. Mimicking the classic Kinder Surprise chocolate egg, this bunny has an outer shell of creamy milk chocolate with a milky white lining – there’s even a toy inside. It may contain small parts, but it doesn’t contain gluten, that’s for sure! 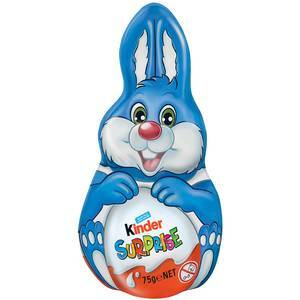 The Kinder Bunny with Surprise is available from ASDA, Morrisons, Tesco, Sainsbury’s and Ocado. After becoming Waitrose’s fastest-selling Easter egg of all time last year, the avocado egg is back. Aesthetic is all this egg shares in common with the fruit – the ‘shell’ is Belgian chocolate, the ‘flesh’ green-coloured white chocolate and the ‘stone’ a smooth ball of more cocoa-dusted chocolate. Delicious, fun and gluten-free! 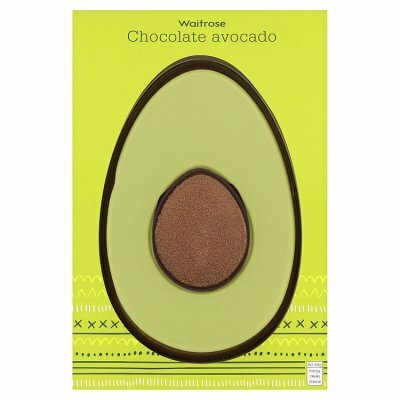 Waitrose Dark Chocolate Avocado Easter Egg is available from their official website for £8. 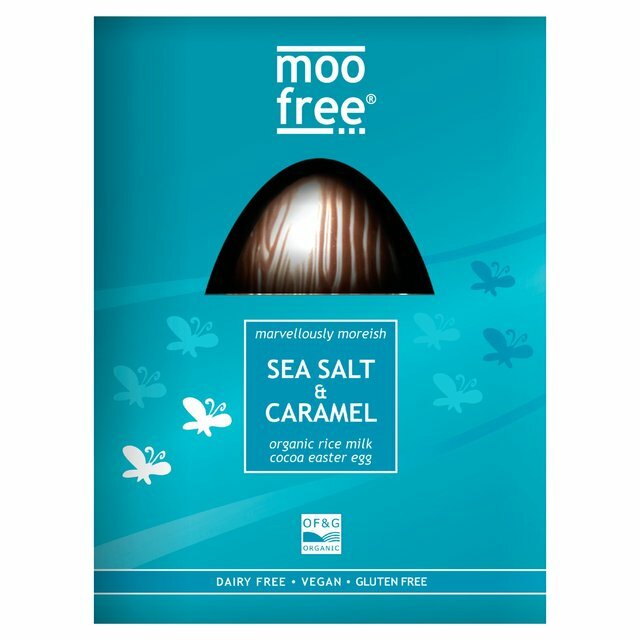 Moo Free’s dairy free chocolate Easter eggs are simply delicious. Made from their award-winning, organic and dairy free chocolate recipe these dairy free Easter eggs really do taste like delicious milk chocolate. Even better still, their Easter eggs are also gluten free, wheat free, lactose-free and casein free. Moo Free’s Chocolate Easter Eggs come in a variety of flavours including orange, honeycomb and milk chocolate. Please visit Moo Free’s website to find a stockist near you. Click here for stockists. Looking for silky smooth vegan milk chocolate with a melt-in-the-mouth centre? Look no further than Rythm 108’s truly addictive mini truffle eggs which are so smooth and creamy you’d never guess they were dairy-free! As an added bonus these treats are made from all-natural ingredients and are palm-oil free. Rhythm 108 Chocolate Truffle Mini Eggs are available to purchase from Sainsbury’s. RRP £1.25. Mummy Meagz’s deliciously indulgent vegan cream eggs are a tasty handmade version of the classic Easter treat. The eggs are free from dairy, gluten, eggs, soya, nuts, and are TWICE the size of a traditional creme egg, so why not treat yourself or a loved one to a box of 6 this Easter. Mummy Meagz’s vegan cream eggs are available to purchase online at www.mummymeagz.co.uk. RRP. £16.95 for 6. 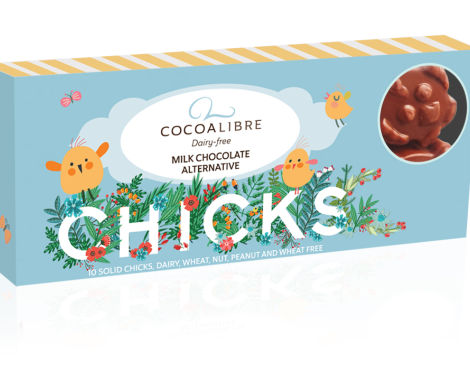 Cocoa Libre’s 10 gorgeous handmade rice milk chocolate chicks are perfect for little ones at Easter, and are made with rice milk as a creamy and delicious alternative to dairy. 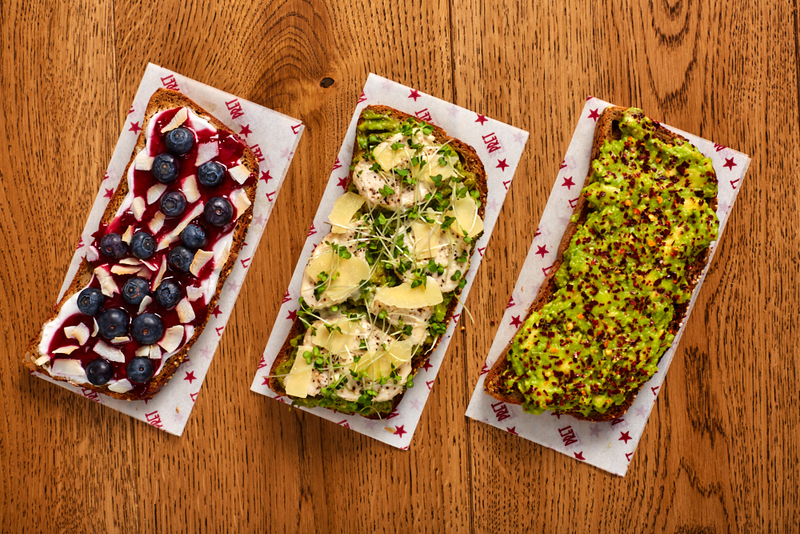 They’re also free of gluten, dairy, nuts and wheat, and are suitable for coeliacs. Cocoa Libre’s ‘Rice Milk Easter Chicks’ are available online at www.cocoalibre.co.uk. RRP £3.99. This beautifully crafted caramel flavoured egg enhanced with pure, hand-harvested Anglesey sea salt and a scattering of crispies comes filled with five hand decorated fondant truffles in two flavours – raspberry flavour fondant filled milk free white chocolate flavour truffles and caramel flavour fondant filled milk free chocolate flavour truffles. 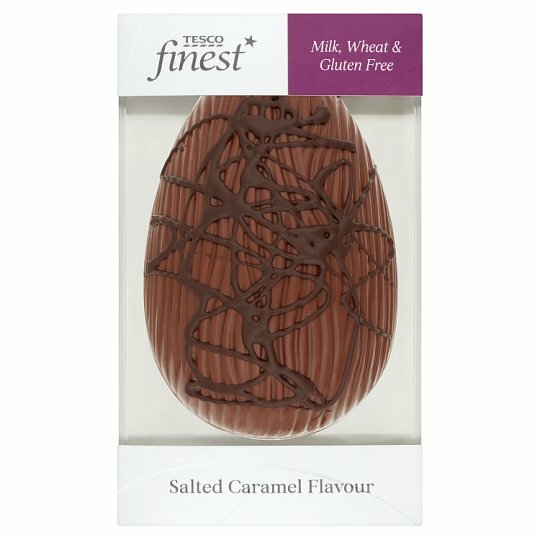 Tesco Finest Free From Salted Caramel Egg is available to purchase at www.tesco.com. RRP £5.50. Sainsbury’s have really got us excited this year – we can’t wait to try their free-from egg! This 100g white chocolate egg is made using real freeze-dried strawberries, as well as a milk alternative that makes is suitable for those who avoid dairy, too. 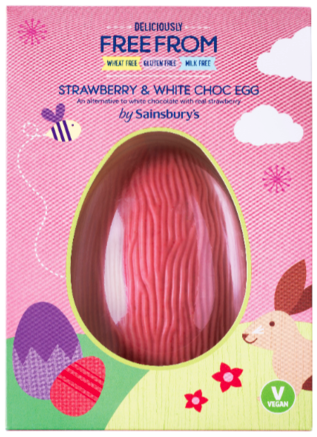 Sainsbury’s Deliciously Free From Strawberry & White Chocolate Egg is available in shops and on their website for just £3.50.